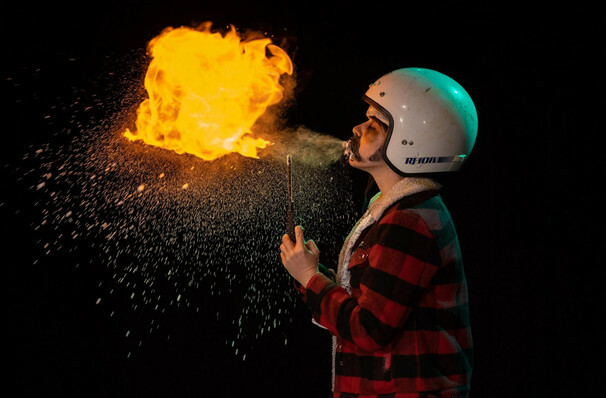 Showcasing her abilities as a comic actor of great skill, Palamides has brought a show to Edinburgh which might appeal to anyone; right-on but transgressive, thoughtful but bad taste, and never less than snortingly funny. 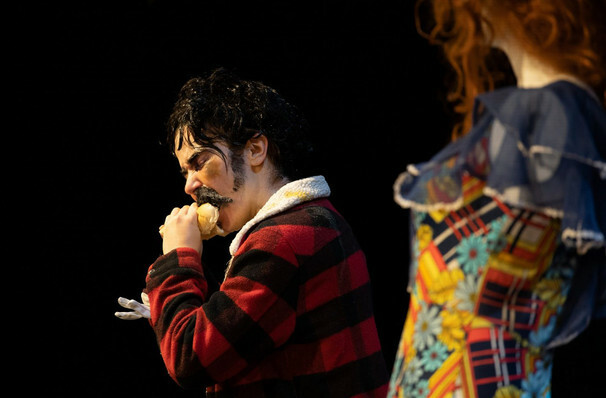 Why See Natalie Palamides: NATE? Winner of the 2017 Edinburgh Comedy Awards Best Newcomer in 2017 thanks to her groundbreaking debut in fertility-based comedy Laid, LA-based performer Natalie Palamides brings her latest hilarious and thought-provoking comedy to London for a strictly limited run this winter. 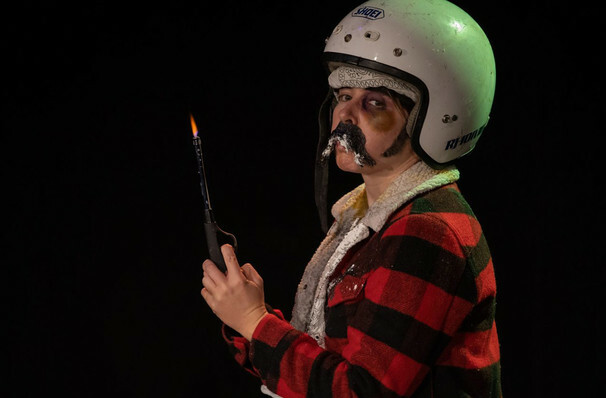 Tackling the issue of consent in the era of the Me Too Movement, 'Natalie Palamides: Nate' sees the comedienne cross dress as a bumbling yet somehow charming male alter ego, simultaneously workshopping and interacting with the audience, satirising casual sexism and exploring love, relationships and masculinity from a skewered male perspective. Donning a fake moustache, sharpie chest hair and trousers that don't quite conceal disproportionate rubber male genitalia, Natalie parades as Nate, a real man's man who at first comes off to the audience as a real jerk, before they warm up to his politically incorrect take on sensitivity and warped sense of machismo. Palamides manages to face an uncomfortable and controversial topic head on, mixing bad taste comedy with thoughtful wit with uncontrollably funny results. Seen Natalie Palamides: NATE? Loved it? Hated it? Sound good to you? 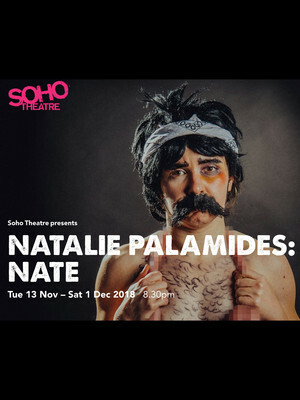 Share this page on social media and let your friends know about Natalie Palamides: NATE at Soho Theatre. Please note: The term Soho Theatre and/or Natalie Palamides: NATE as well as all associated graphics, logos, and/or other trademarks, tradenames or copyrights are the property of the Soho Theatre and/or Natalie Palamides: NATE and are used herein for factual descriptive purposes only. We are in no way associated with or authorized by the Soho Theatre and/or Natalie Palamides: NATE and neither that entity nor any of its affiliates have licensed or endorsed us to sell tickets, goods and or services in conjunction with their events.